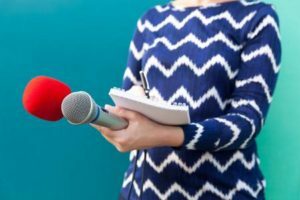 Understanding and navigating the sometimes challenging terrain of a media interview will serve you well in any life situation, not just in your dealings with the public. HOWEVER having good interview skills is extremely important ~ especially if you are having to deal with inflammatory claims made against you or your organization. Understanding how reporters tick, what types of questions you might be asked, AND more importantly, how to respond, will set you apart from your floundering peers. We will also go into great detail on the 12 tough questions you might hear used in your next interview, and how to respond. These are usually the questions you would NEVER want to be asked. You will come out of this workshop fully prepared for any onslaught and be able to satisy the reporter's need for a good story while remaining true to what you came to talk about - YOUR message.